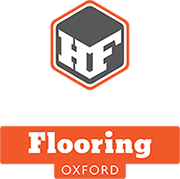 Headington Flooring are a family run company specialising in the restoration and sanding of existing wooden floors and the installation of solid, engineered and laminate flooring. With over 20 years experience in flooring we offer a professional service that we are proud of. Having worked within two well established flooring companies in Oxfordshire we know the marketplace and what’s required to deliver an exceptional service and leave our customers satisfied with their new wood or laminate floor. Please feel free to look at our gallery of recent work and testimonials as this will give you a brief but assuring insight into the work we carry out.